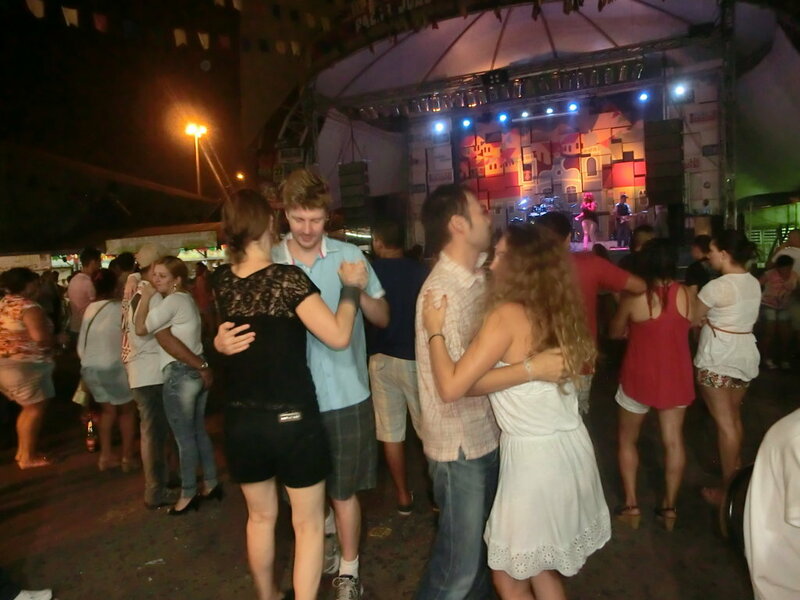 Forró at Feira de São Cristóvão - Learn Portuguese and discover Rio. 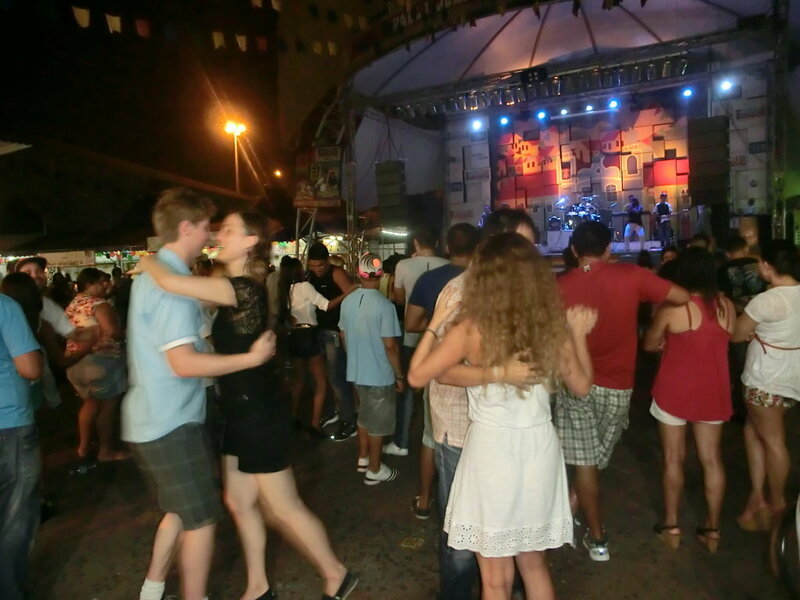 Our students ready to dance forró at Feira de São Cristóvão. 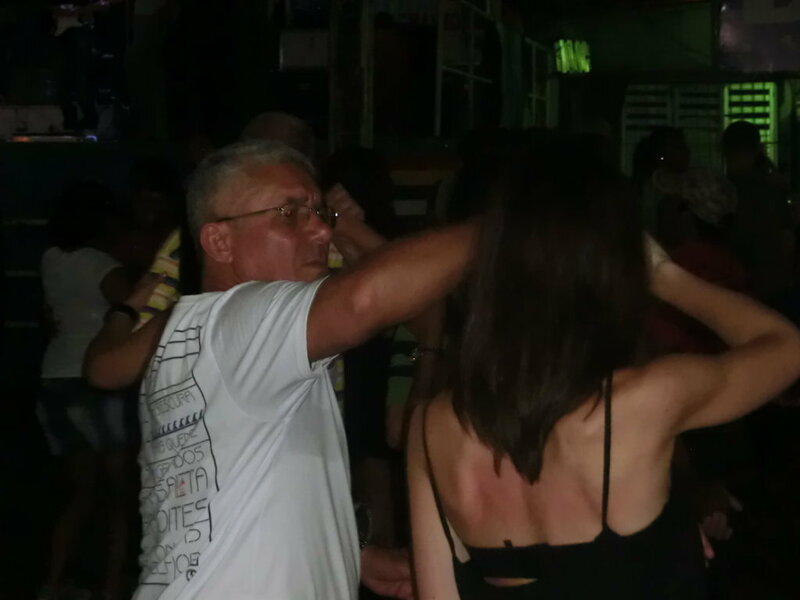 Un’esperienza molto interessante per coloro che vogliano apprendere un pó sulla cultura del Nordest del Brasile. 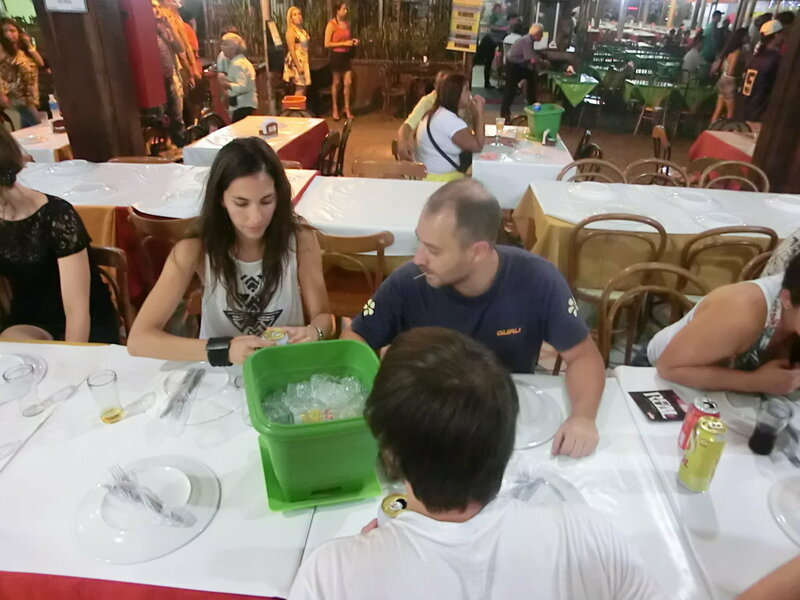 L’immigrazione Nordestina ha segnato molto l’aspetto sociale ed anche la storia di Rio de Janeiro degli ultimi decenni. 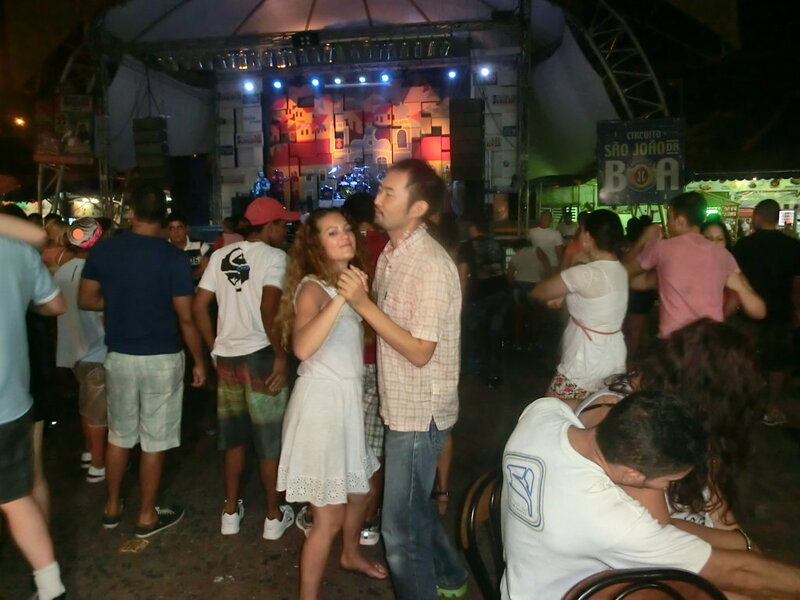 La Feria di São Cristóvão riunisce un pó i vari aspetti che caratterizzano la comunitá Nordestina nella citta Carioca: musica, balli tipici del Nordest (soprattutto il Forró), specialitá culinarie, prodotti tradizionali ed altri tratti del Folklore della regione del Nordest. 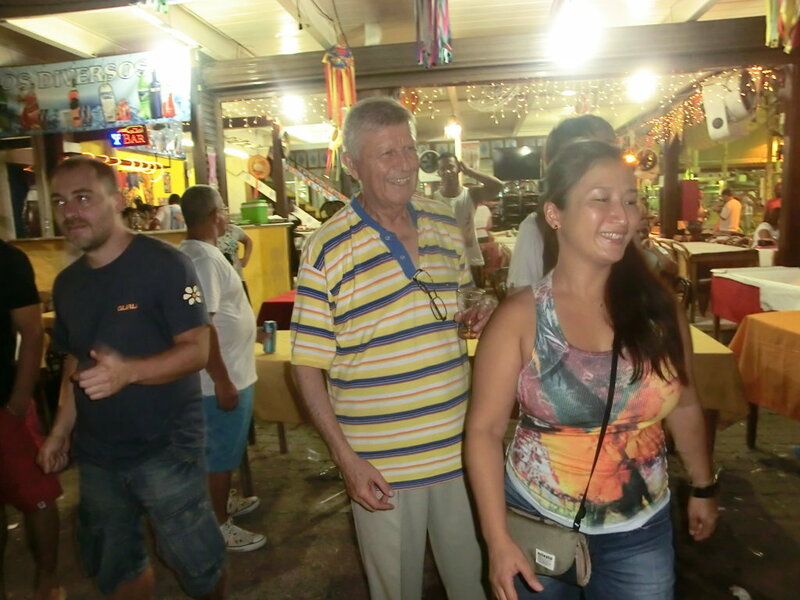 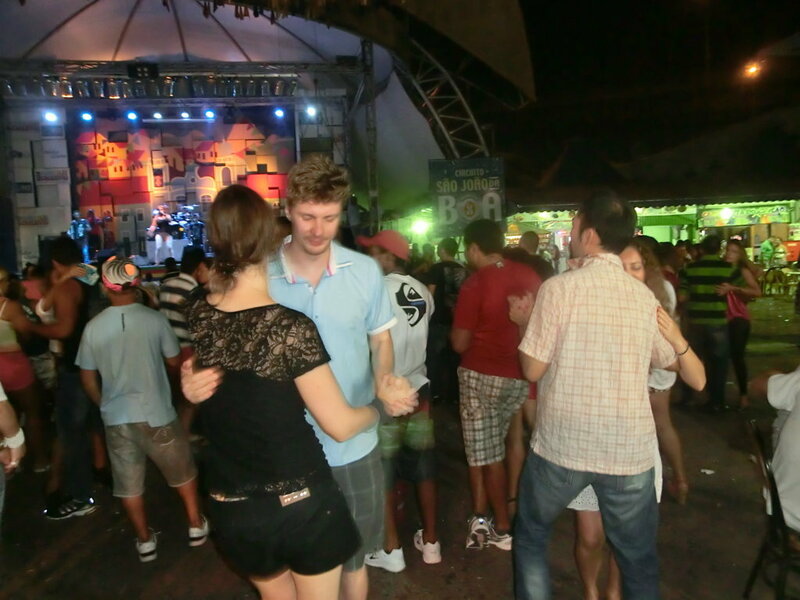 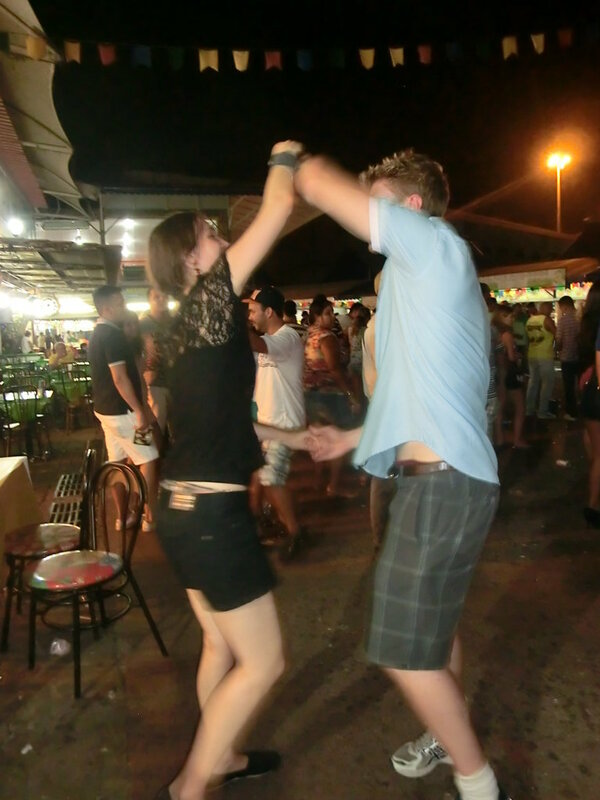 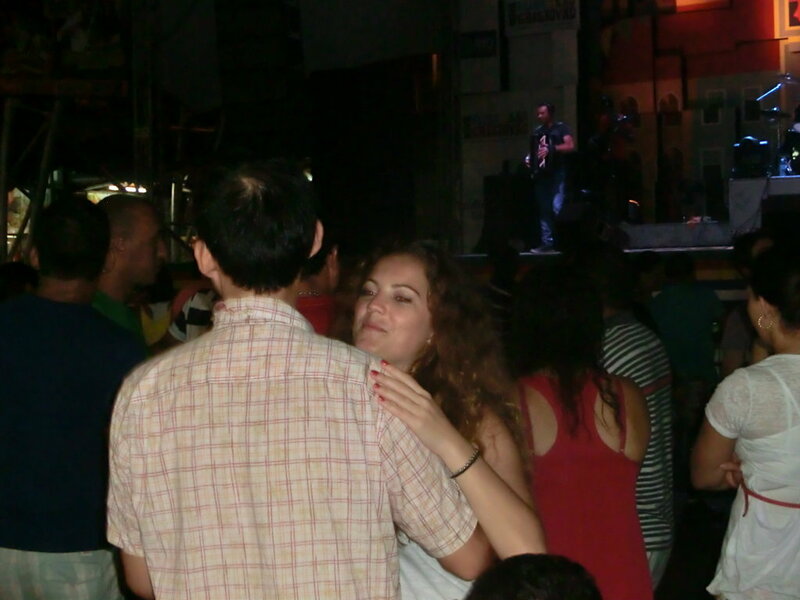 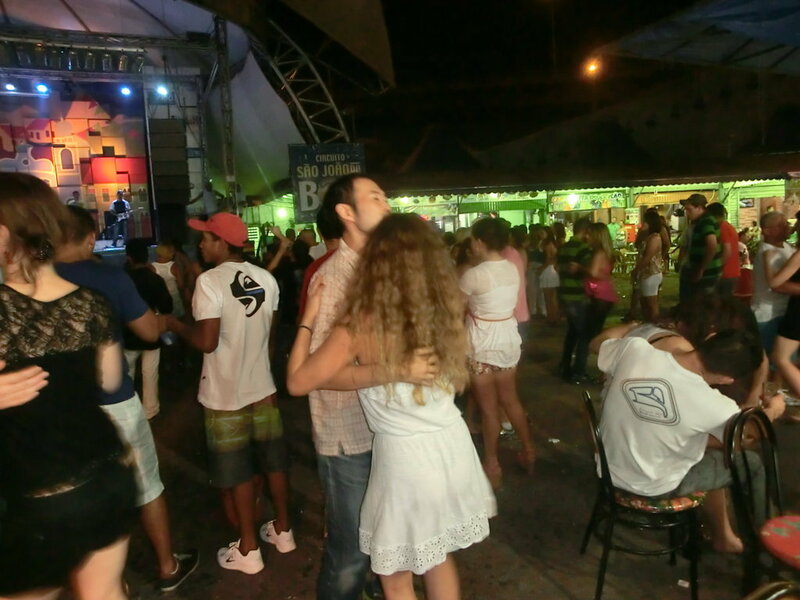 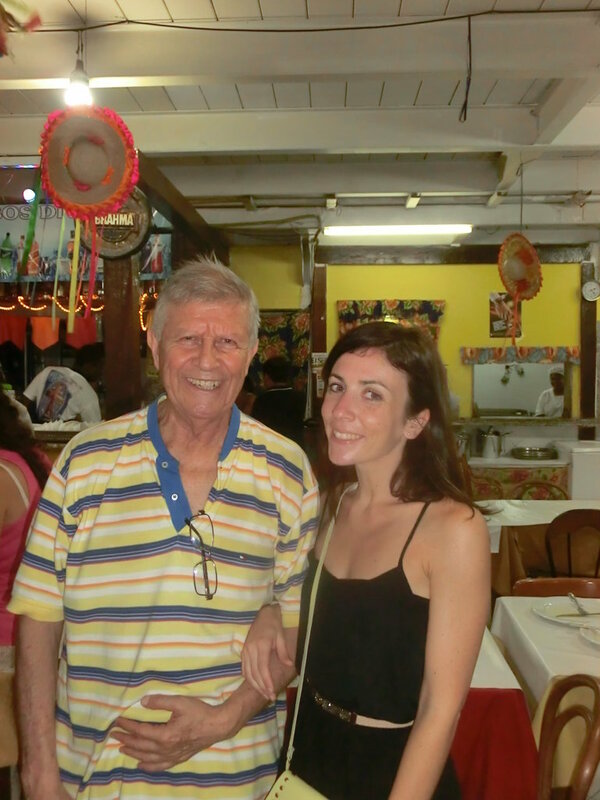 To dance forró at Feira de São Cristóvão is one of the Brazilian things that we recommend to do in Rio de Janeiro. 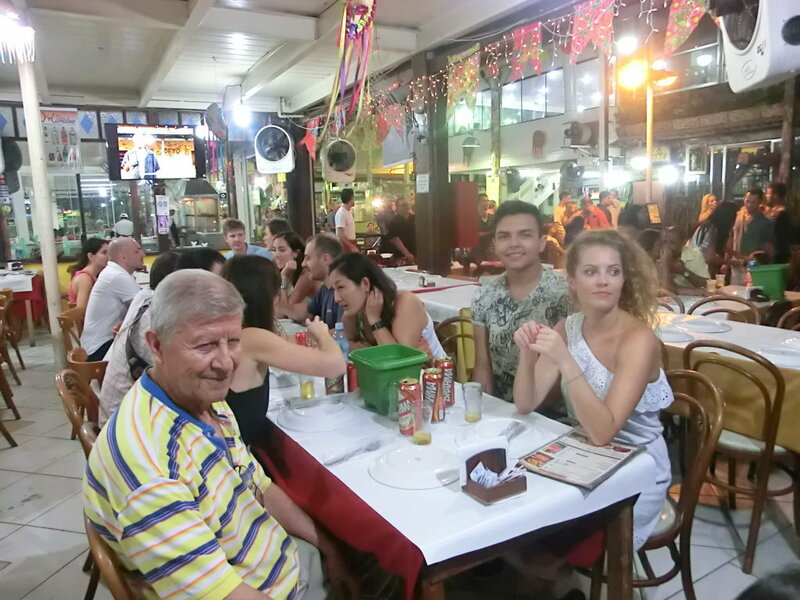 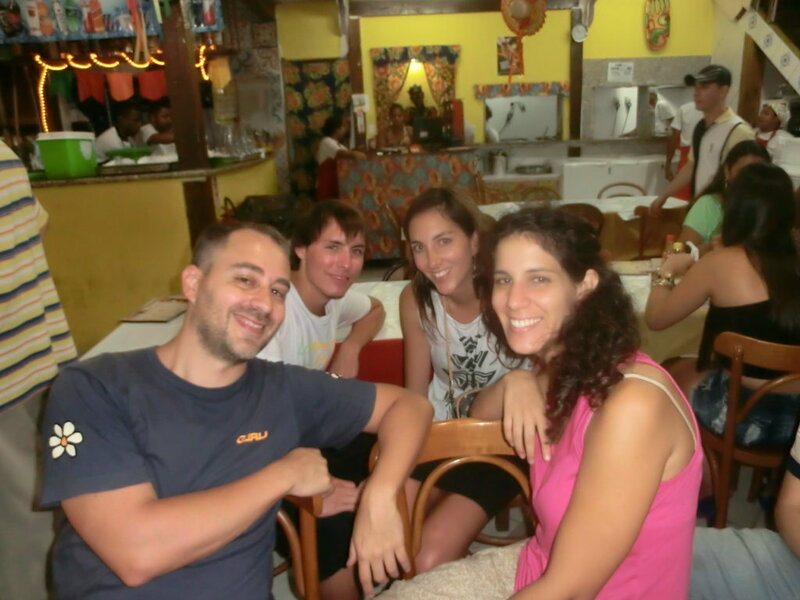 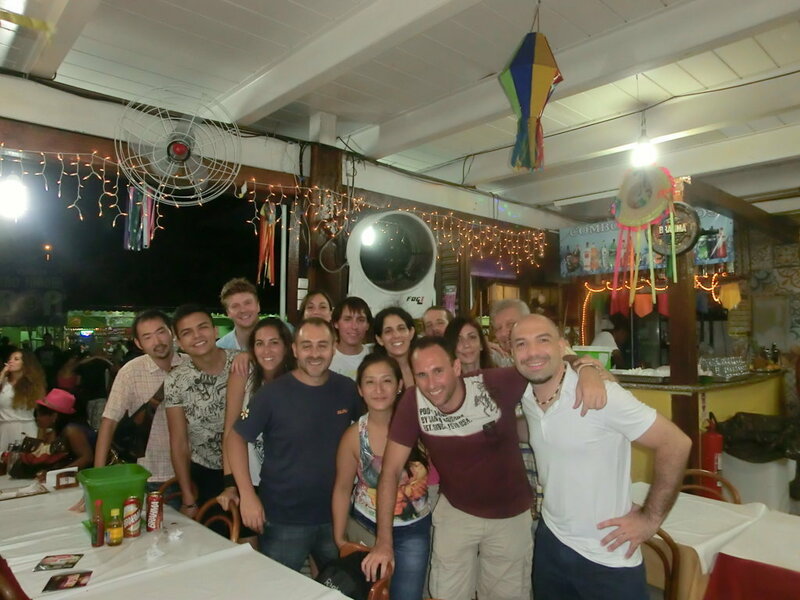 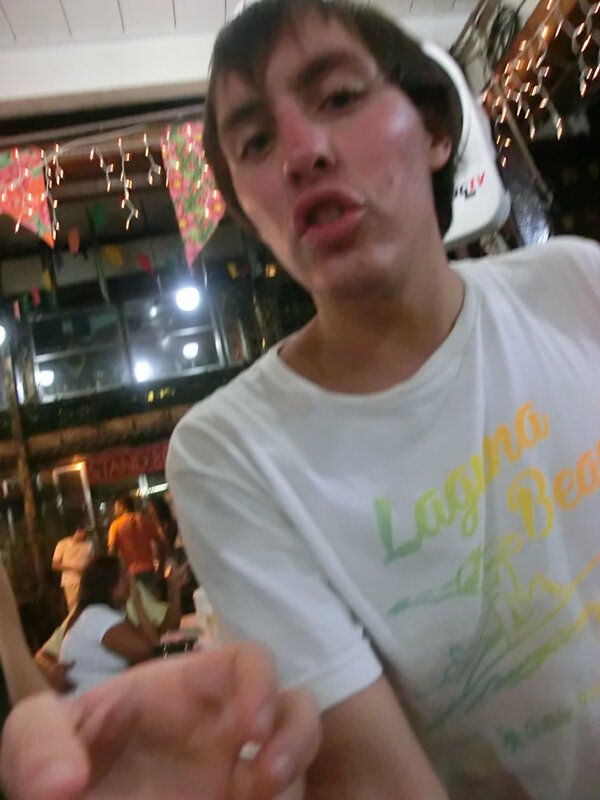 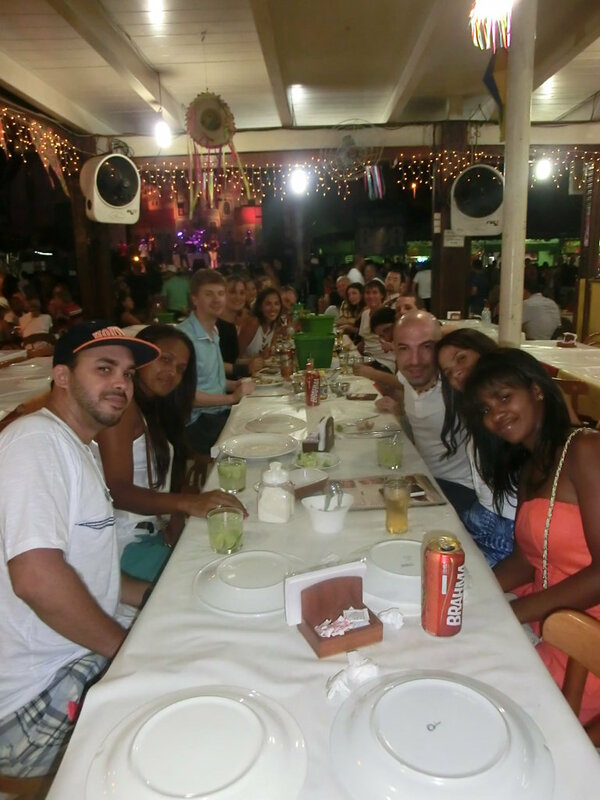 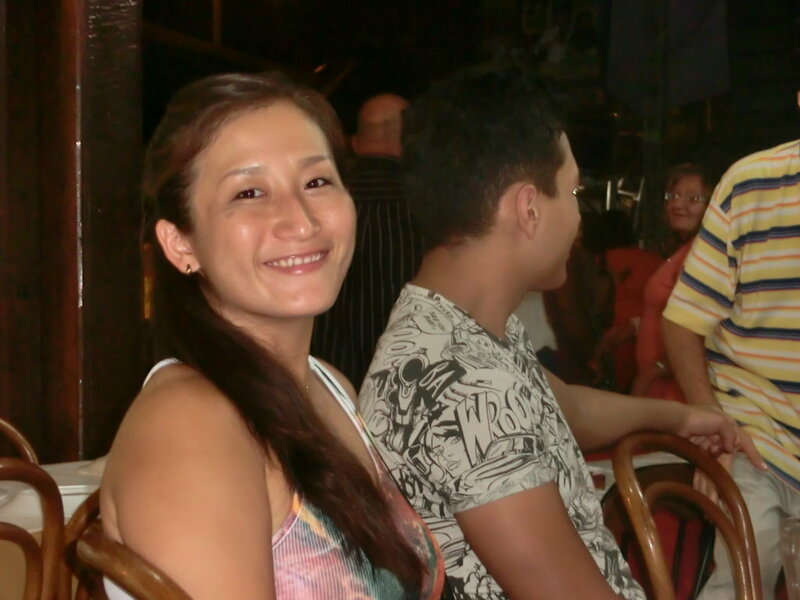 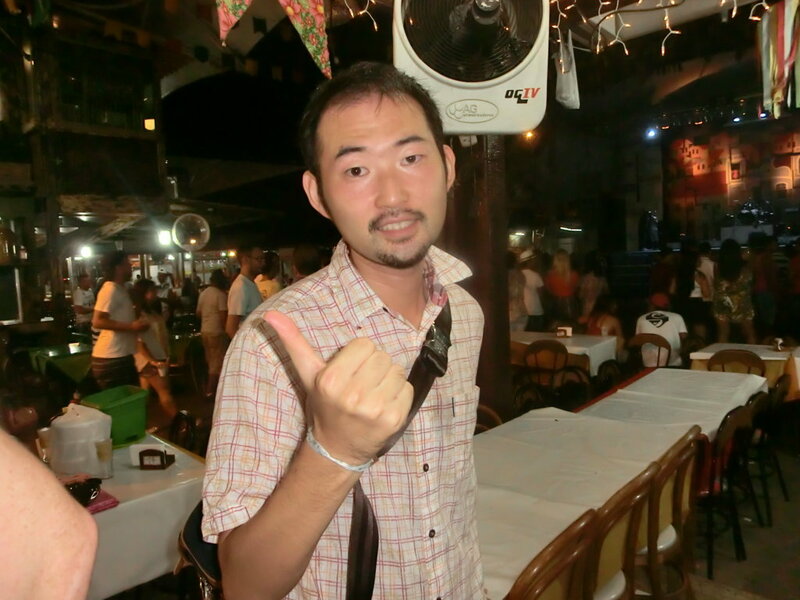 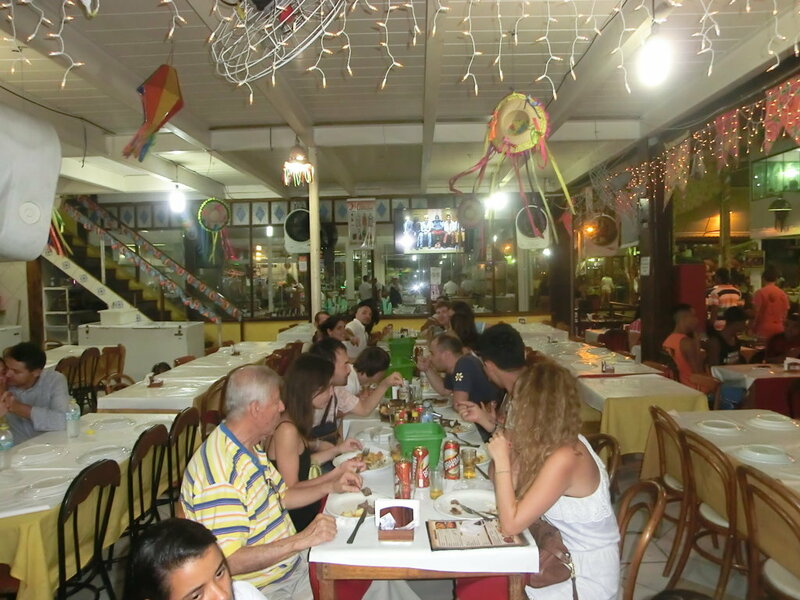 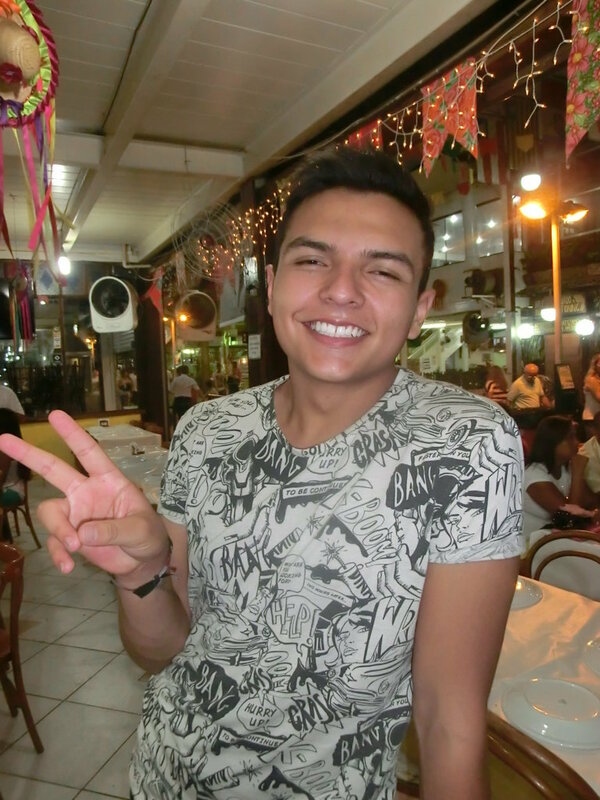 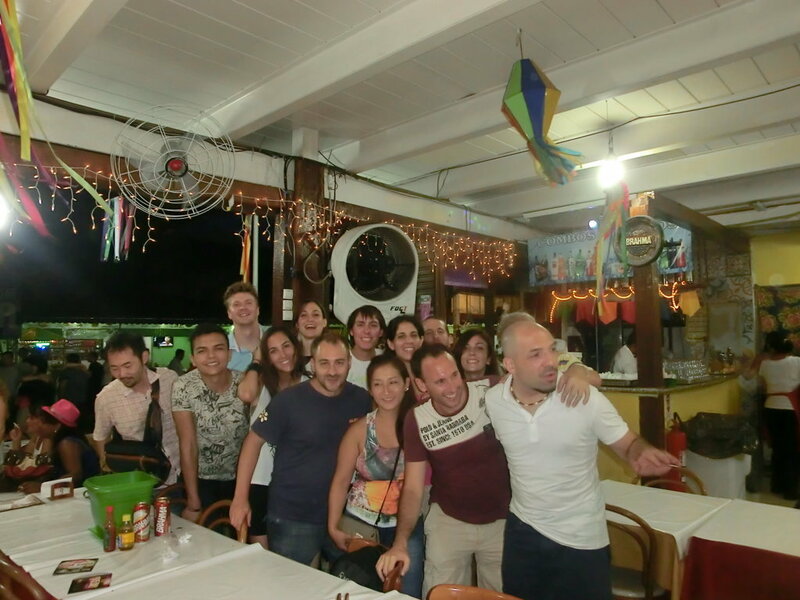 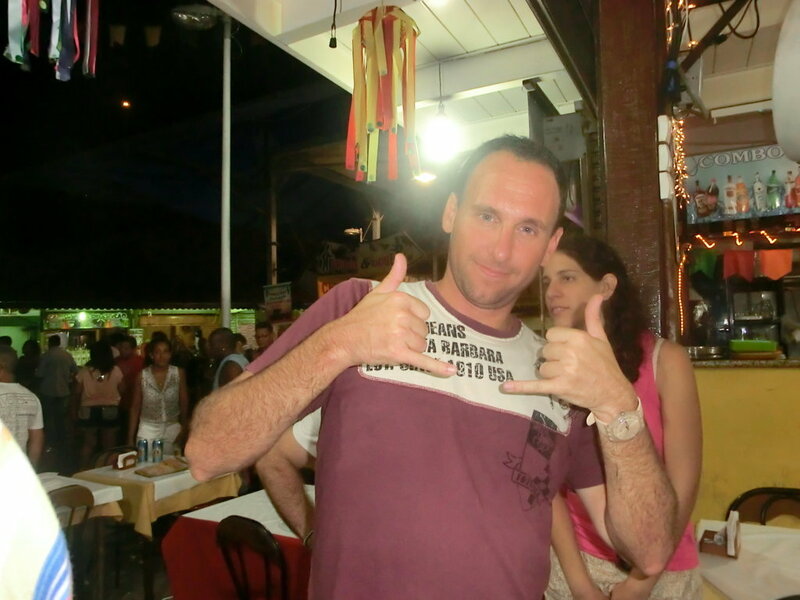 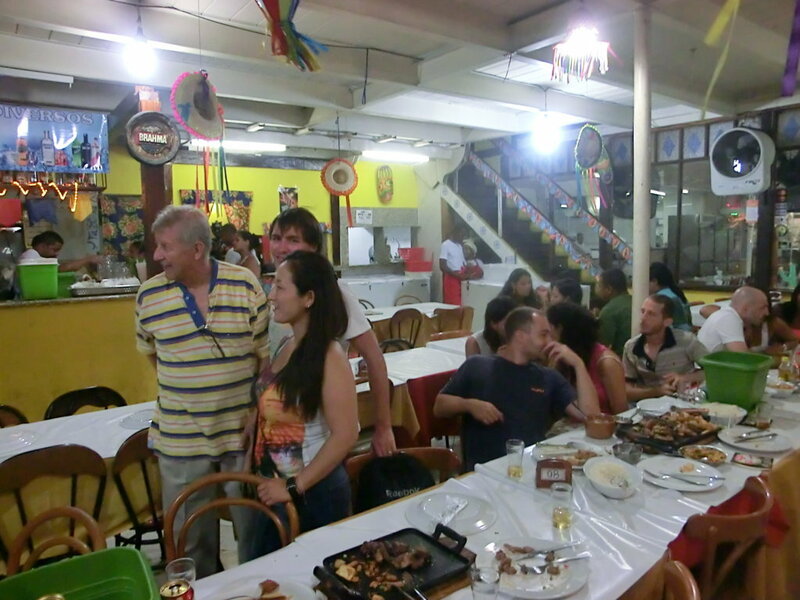 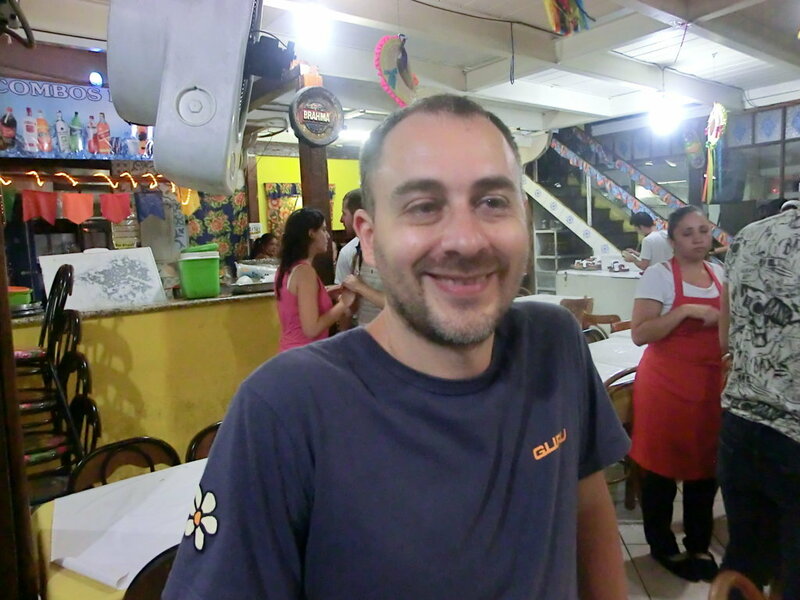 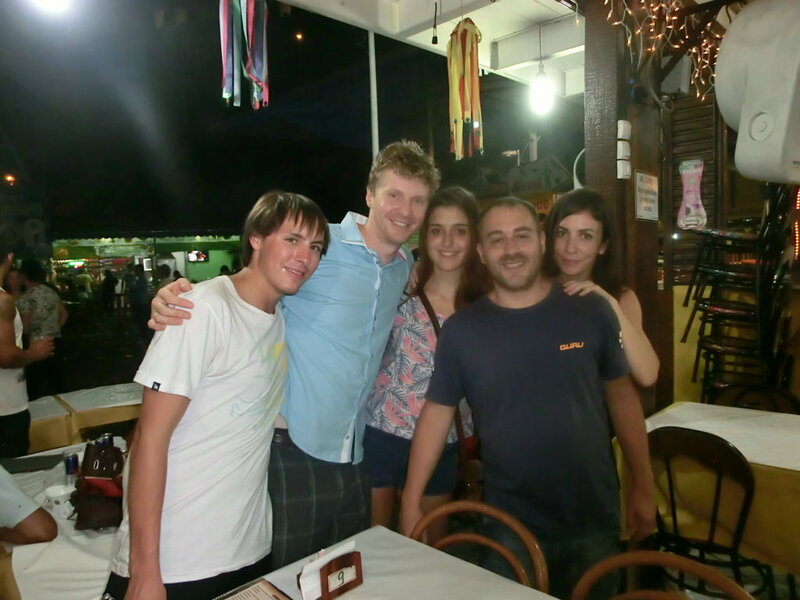 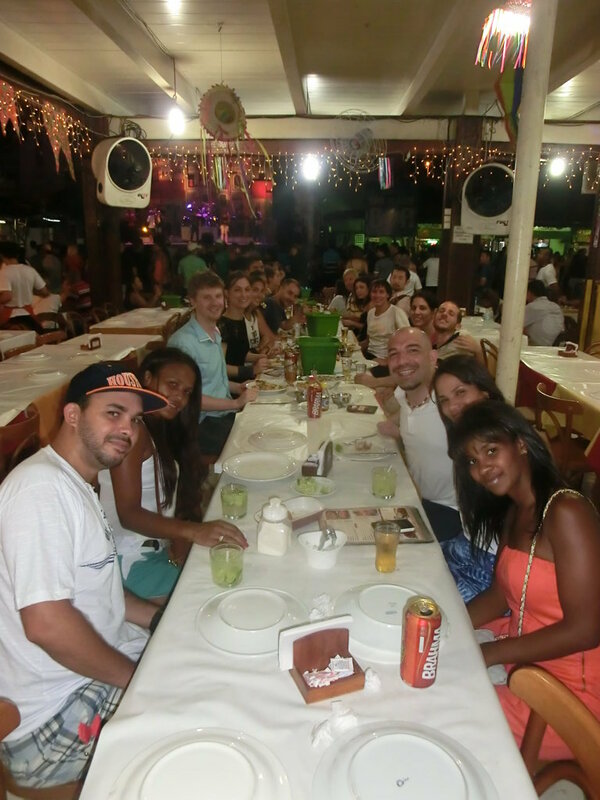 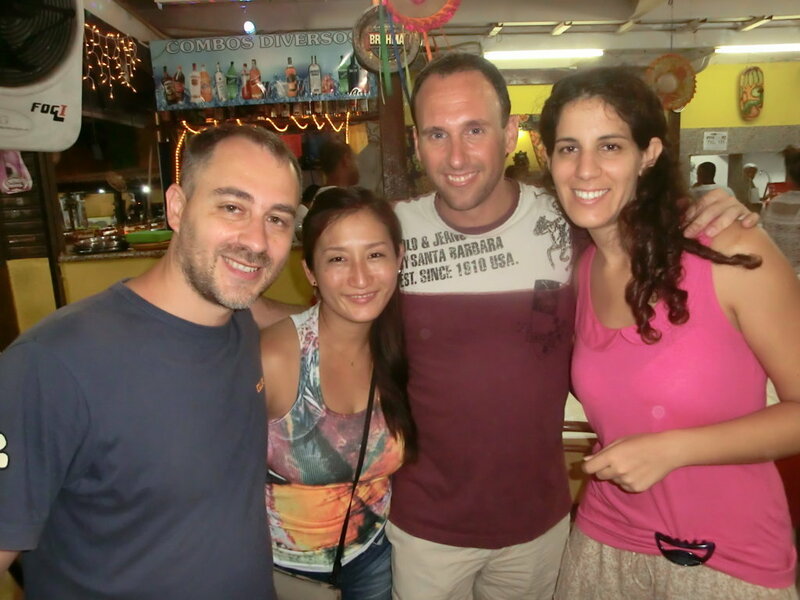 It is not like going at a Touristic place, really, it is like going to a traditional place with lots of local products around and plenty of people that are not really the stereotype of a tourist even most of them not being born in Rio de Janeiro. 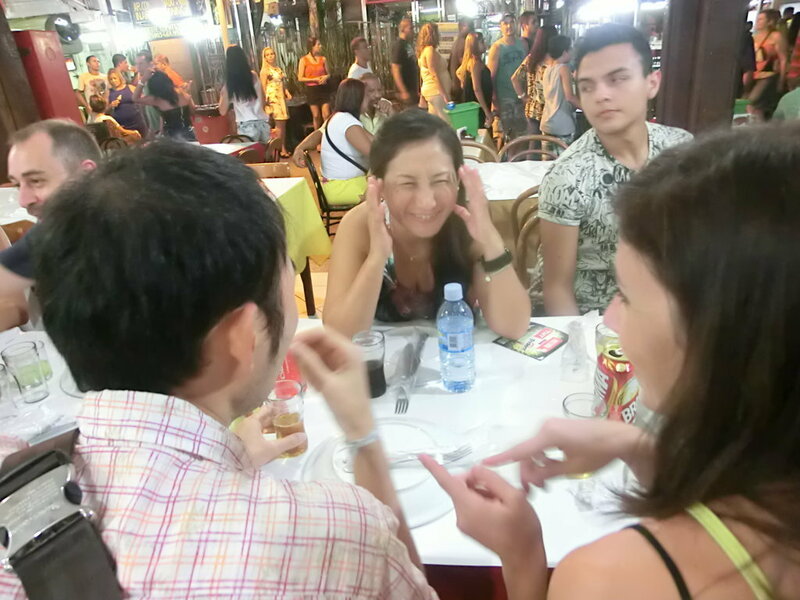 After some walking around the fair to watch around, we had dinner together 15 of us, with students from Japan, Israel, Italy, USA, UK, Germany, France, Colombia, Argentina, Perú and Chile. 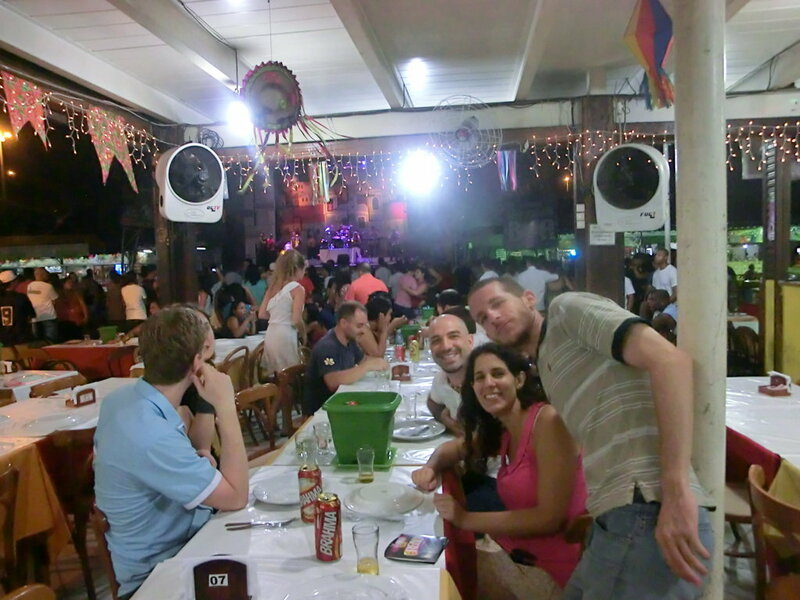 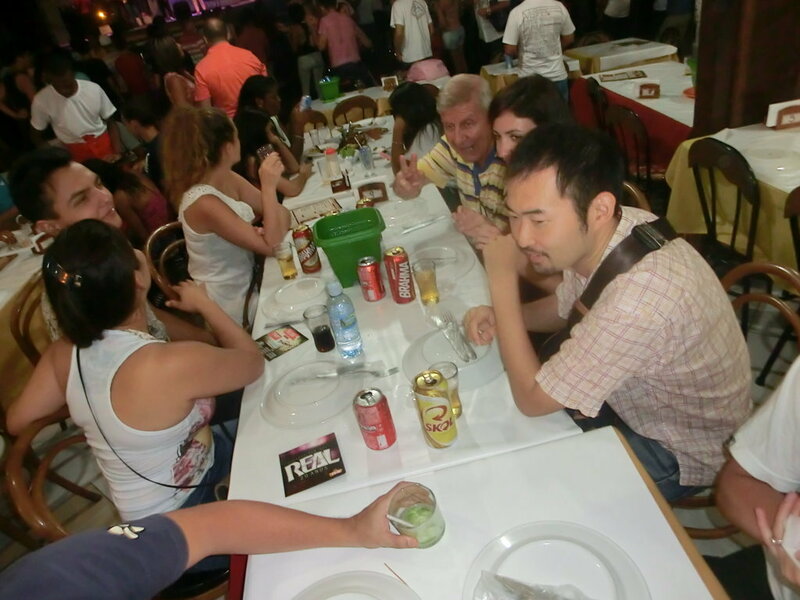 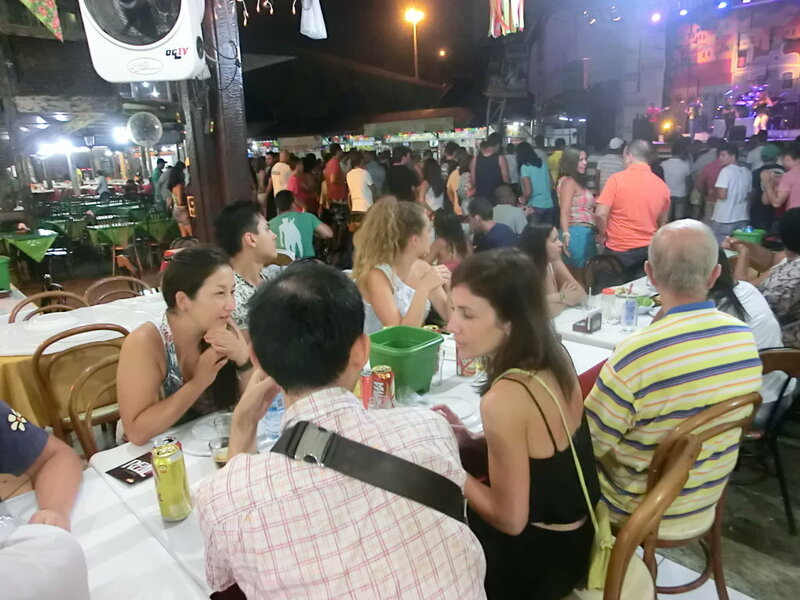 We had traditional food from Northeast of Brazil as we were chatting and doing pictures around as we were enjoying local live music in one of the main stages at Feira. 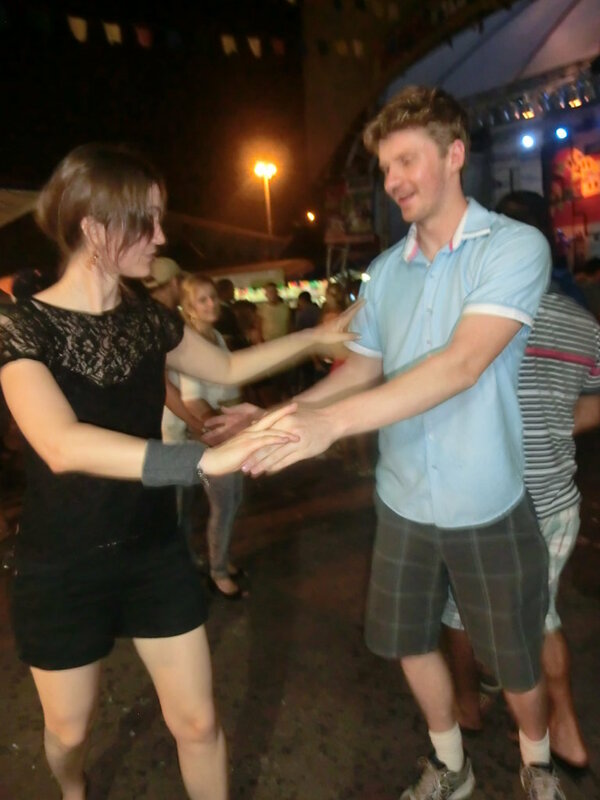 As the food was finishing some of the students already wanted to dance forró at Feira de Sâo Cristóvão in order to practice what they had learned last Tuesday in our monthly forró class. 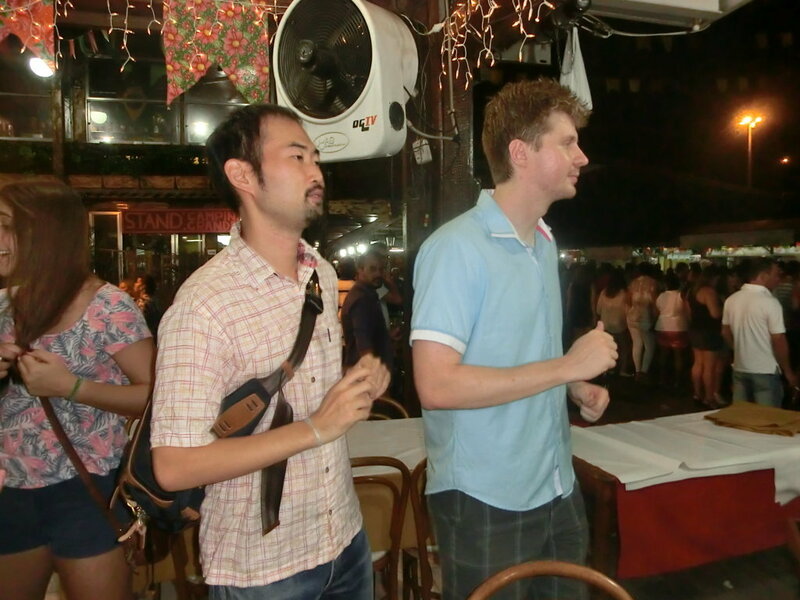 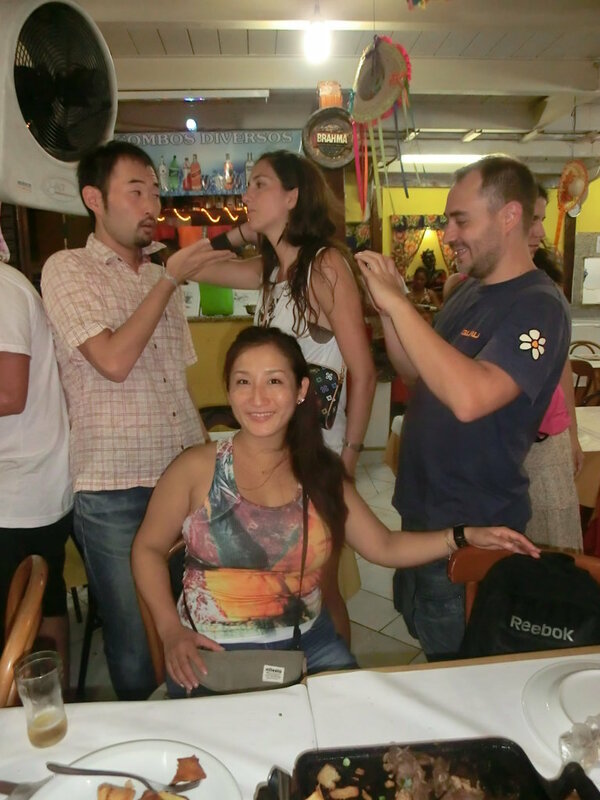 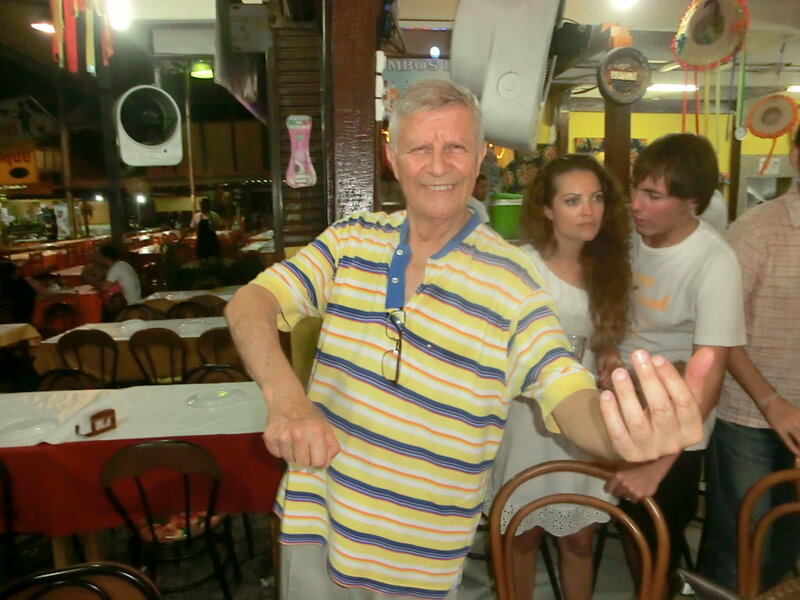 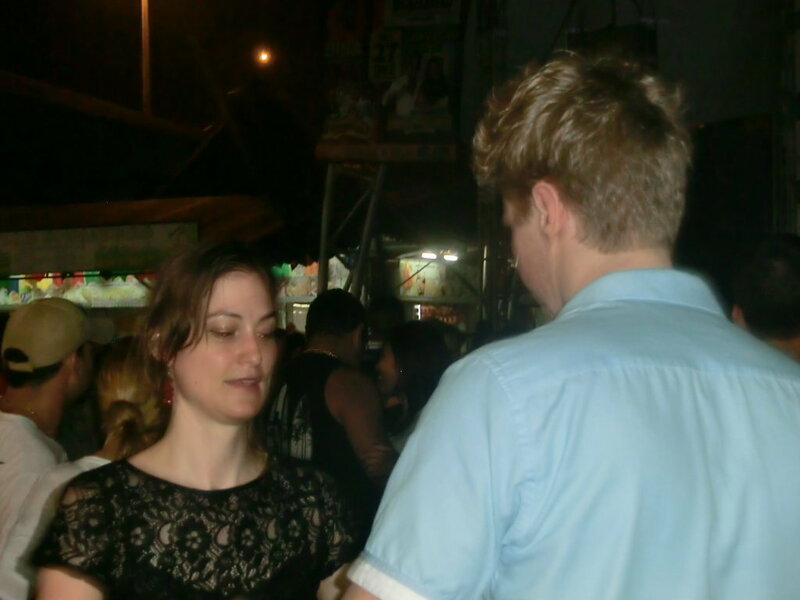 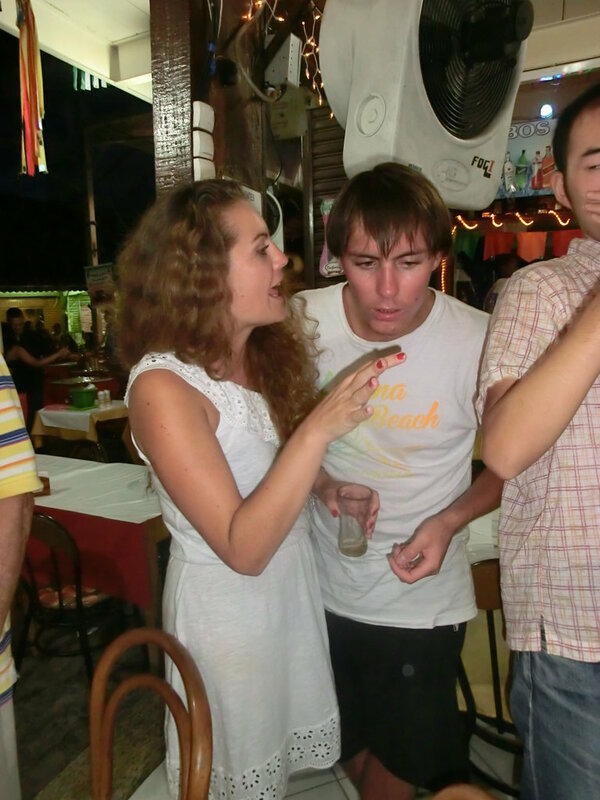 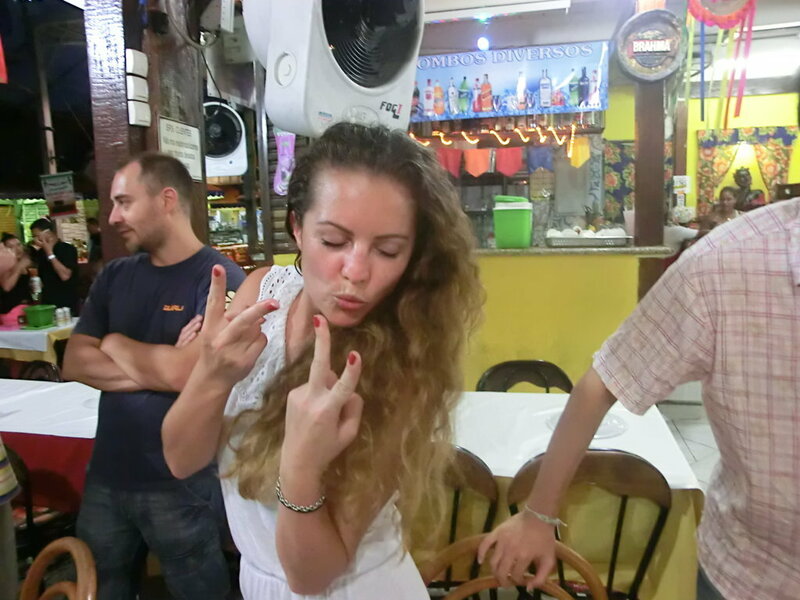 So, after some started, everybody wanted to try, and our students didn’t hesitate, and in order to practice more Portuguese they danced with locals. 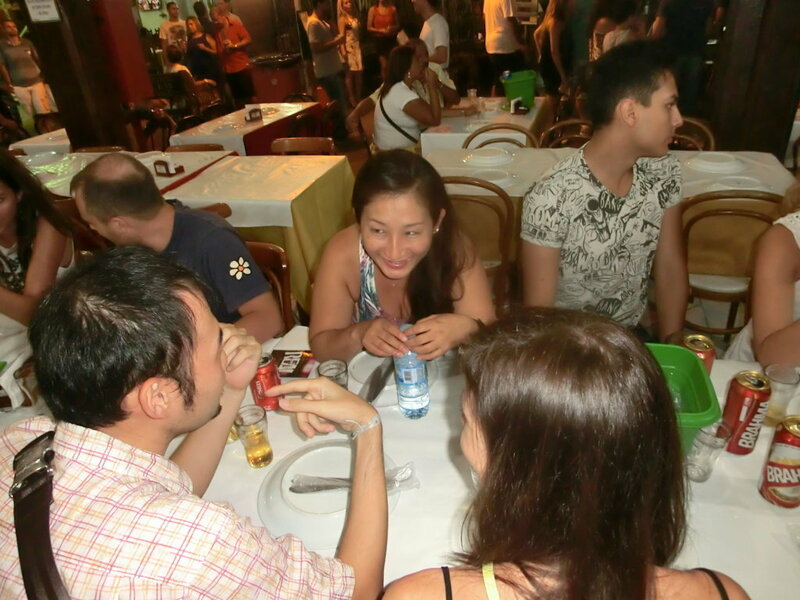 Was a fun night with tradition, dance, drinks, fun and lots of Portuguese.